Thank you for your interest in volunteering with Basenji Rescue and Transport, Inc. We are a nationwide network of individuals with a passion for this wonderful breed. Becoming a volunteer is a two-step process. Below is our Volunteer Policy that we ask all volunteers to read and agree to. Once you click Continue, you will be directed to a second page where we will gather your information for our files. Basenji Rescue and Transport’s (BRAT) mission is to rescue, rehabilitate and rehome dogs of the Basenji breed; to educate and support owners, potential adopters, and admirers of the breed; to rescue and foster Basenjis in safe and nurturing environments; to provide the care that each dog needs; and to work hard to educate ourselves so that we can confidently place adoptable dogs in the best homes possible for a happy and harmonious outcome. A volunteer performs assigned and authorized duties for BRAT without receiving wages. A volunteer freely chooses to perform his or her assigned BRAT duties. The volunteer duties directly benefit BRAT and are supervised by BRAT leadership. BRAT understands and accepts that the volunteer is acting on BRAT's behalf. Basenji Rescue and Transport, Inc. (BRAT) shall follow the spirit and intent of all federal, state and local law. To that end, the Board of Directors will not discriminate against any volunteer or applicant in a manner that violates the law. Volunteers must be professional and respectful to other volunteers, applicants and people releasing dogs to BRAT in both written and verbal communication. Volunteers must not use BRAT email lists or BRAT-managed social media sites to promote a personal agenda or to broadcast discontent. 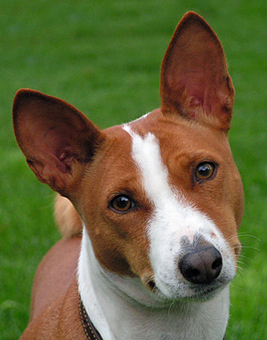 Posts and photos should be respectful and related to Basenjis, Basenji rescue and BRAT. Volunteers understand that the information shared with BRAT by applicants and stationmasters is privileged for use in the work of BRAT. BRAT will reimburse a volunteer for approved expenses incurred in the performance of assigned and authorized duties with prior board authorization. Allowable expenses must be submitted in a timely manner with receipts or acceptable documentation for reimbursement. Falsification of requests for reimbursement will be grounds for dismissal. Restitution for falsified requests may be sought through legal means. By clicking "Continue" below, you attest that you have read and understand the BRAT Volunteer Policy statement as presented here, and if you are approved as a volunteer, you agree to abide by these policies. If you do not want to continue, please return to our home page to quit this process.